If you are developing a membership based website then you will need to find a theme that fits your needs and is specifically crafted for this niche. This collection of the best membership WordPress themes for paid membership websites will give you the advice and inspiration you need when you start such a business. Most of these themes come bundled with premium slider plugins and drag and drop page builders that will allow you to develop any type of layout you have in mind. Many of these also support translation plugins and WooCommerce giving you the ability to develop multilingual online shops. Moreover, these membership WordPress themes come with a responsive layout and speed optimized code for a better user experience. Check them out below. 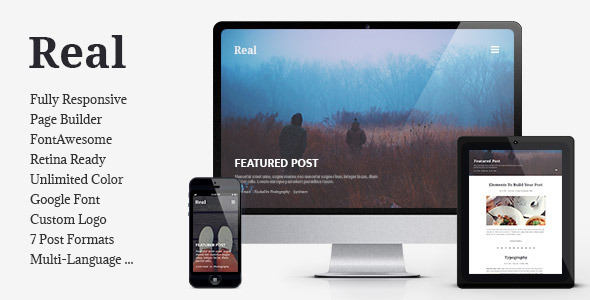 Real has more than earned its place in this list featuring the best membership WordPress themes. Real has features that will allow you to develop the best membership website for any type of business. Some of its impressive features are sidebar enable/disable option, advertisement area, 2 header layouts, post sharing, paid membership pro, font awesome, WPML compatibility, and 7 post formats. Even if you are unfamiliar with WordPress or themes you will find your way around Real without struggle thanks to its intuitive UI. Real has a lot to offer - make sure to check it out! Javo has the right design and features to be one of the best membership WordPress themes. This theme has been developed specifically for membership websites and will attract only a high quality audience to your website. 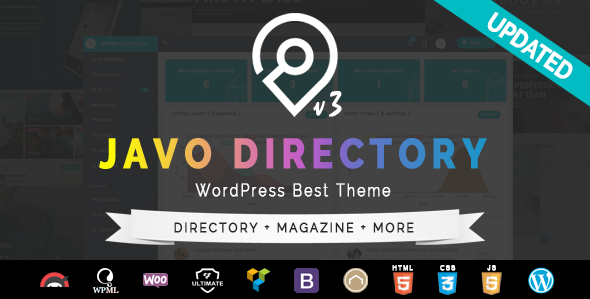 To help you with that Javo offers 6 layout styles for listing pages, an intuitive user interface and theme panel, single listing addon, Google maps, drag and drop page builder, 16 sample websites, 4 premium plugins, and free lifetime updates. Javo is also SEO optimized and will help with your website’s ranking on search engines. Create an effective website for your business with Javo! If your membership website needs a redesign then Aardvark is the perfect theme for you. Thanks to its stylish and modern design your visitors will be drawn to know more about your business and compelled to buy your services and products. To help you design and develop the ideal website for your business, Aardvark includes pre-made demos, BuddyPress, Paid membership pro, Sensei e-learning plugin, a front-page builder, and a live customizer. Take advantage of the opportunities Aardvark gives you! Blogary is a membership WordPress theme for magazine and blogs with paid content. This theme is specialized for this type of websites and is your best choice. 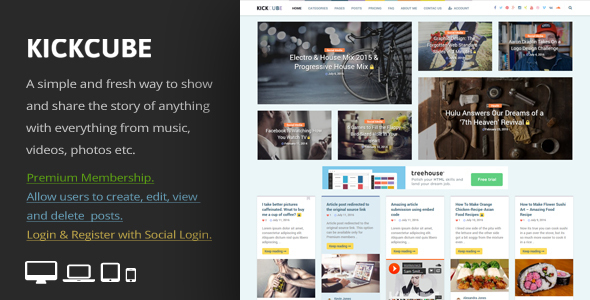 With only a small fee you get 2 stunning and creative homepage demos, unlimited layouts for blog posts, the premium plugin PaidMembershipPRO, 300+ icons, translation ready, one click demo import, custom logo, 8 pre-defined color schemes, social media integration, and much more. Each of these tools will give the opportunity of creating an attractive membership website and build a great reputation for your business. Start with Blogary! We could not create a collection of membership WordPress themes and not mention KICKCUBE. If you are searching for a theme that will have a positive impact on your website’s audience then KICKCUBE should be your choice. Using this theme your visitors will be able to login through their social media accounts and buy premium memberships. With KICKCUBE you can create unlimited forms, manage your posts, publish posts, CopyScape your content, send email notifications, add security, and create subscription packages and trials. Increase the changes of your visitors becoming customers with this original theme! Do you have useful information to sell? 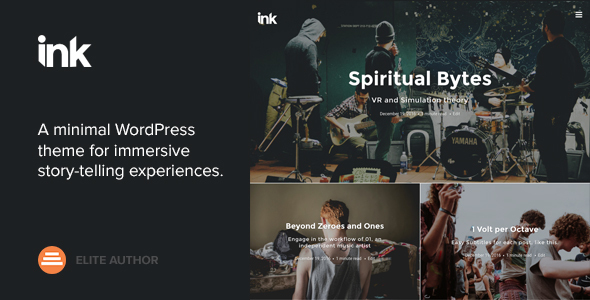 If yes, then you should check out Ink which is a gorgeously designed theme ideal for membership related websites. Immediately after you install and activate it you will be able to get started with the demo import and then replace the dummy content with your own. It takes little time to set this theme up and you can personalize it with just a few clicks here and there. If you want to take a closer look under the hood you will find even more features such as custom video and image header styles, lots of typography options, widgetized homepage, custom widgets, and shortcodes. Convert your audience into customers with Ink! Forte is one of the best membership WordPress themes for writers and it has all the features you would expect such a theme to have. Forte is spectacular head to toe starting with its customizable header and finishing with the widgetized footer. In Forte you will find lots of features some of which are bold hero areas, video background, galleries, live customizer, Restrict Content PRO, custom RCP styles, hidden sidebars, multiple post formats, and a fully customizable 404 error page. Forte’s design is straightforward and your visitors will know immediately what you have to offer. Get started with Forte! Kallyas prides itself with its multipurpose abilities and features. While some themes promise flexibility and do not deliver, Kallyas is not one of them and includes everything that it promises. Kallyas comes with dozens of pre-designed website demos among which is a membership one. You can set it up easily using that demo and then customize it through its integrated live customizer and text editor. 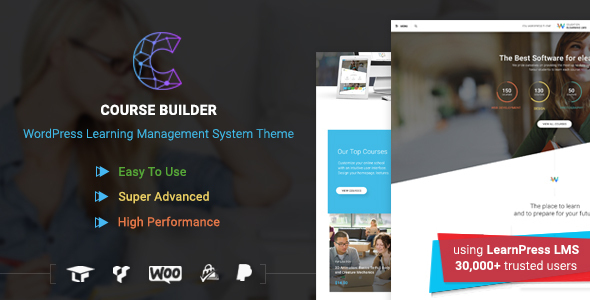 This theme also comes with the popular Visual Composer page builder plugin that allow webmasters to create any layout they wish. There are plenty more options Kallyas offers and you should check them out! 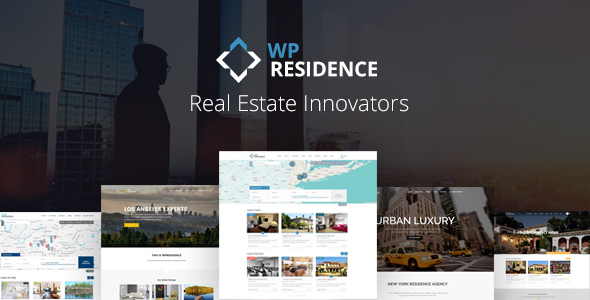 Residence will appeal to all webmasters looking for one of a kind membership WordPress themes. After you import the demo content through a one click install you will have access to 12 dazzling website demos. No matter which one you choose for your business you cannot go wrong. Apart from the visually-stunning demos, Residence also gives you access to an advanced search form, search form builder, geolocation, property card templates, property page templates, Revolution Slider, 30+ header options, user dashboard, property management page, and a monetization system. With Residence developing a website is a piece of cake! Atlas is yet another brilliant theme that was designed as a complete solution for websites that offer paid memberships. This theme is incredibly flexible and thanks to its demo content it is ready to go out of the box. If you have little time on your hands you can use the demo layout and only add your content. The personalization is all done from the theme admin panel. Atlas contains a faceted search mode, favorites option, listing rating, custom fields, listing stats, and email notifications. If you need to get going with your own membership website, I recommend Atlas! Birds of a feather flock together, right? This is the exact mentality Flocks bases its concept on thus drawing in only visitors that have your services as an interest. Flocks is compatible with major plugins among which are WooCommerce and GeoDirectory. To get you started Flocks offers multiple website demos that can be applied to your business and customize to your liking. Moreover, with Flocks users have the capability of logging in through their social media accounts. Visual Composer and Slider Revolution are two powerful plugin that come bundled with this theme. Let your final decision be Flocks! Ultimate Directory will make a big impact on your website especially visually. You can see that this theme is a beloved choice among webmasters by the number of sales, review, and comments it has. Because it such a popular choice, Ultimate Directory is packed with features all membership WordPress themes should have such as a full responsive design, various blog page styles, several gallery layouts, Google map integration, font Awesome icons, integrated review system, social sharing options, social login, and unlimited colors. 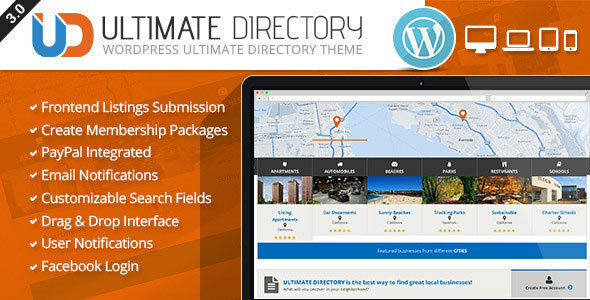 If you are interested in a powerful and feature-packed theme, check out Ultimate Directory! Course Builder is the ideal choice if you are running a business that sells services through memberships. Course Builder comes with beautiful demos that can be used by all kinds of membership based websites. Additionally, Course Builder is packed with a drag and drop course builder, payment gateways integrated, memberships and subscriptions, course dashboard, email notifications, quizzes, custom shortcodes and landing pages, and professional support. Build an online following and presence with Course Builder! This is a theme you will not regret purchasing because of its high-quality design and tons of features. Wildcommunity has many inner pages templates, live chat, 4 front-page layouts, multiple shortcodes, BuddyPress extensions, extensive documentation, content blocks, and custom widgets. Customizing the theme is easy and can be done through its intuitive admin panel. Wildcommunity fully supports WooCommerce so you can create an online shop for your services and products. All these tools and options come wrapped up in a cool and chic design ideal for membership websites. Thrive is a beautiful, versatile, creative, powerful, and lightweight membership WordPress theme ideal for creating professional websites. Thrive is developed by Dunhakdis which are known for their quality products. 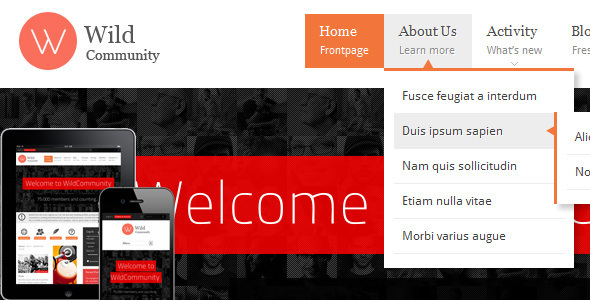 This theme comes with a responsive design that will adapt to all devices without losing quality. It is also integrated with various premium plugins that guarantee an effortless customization of page elements. 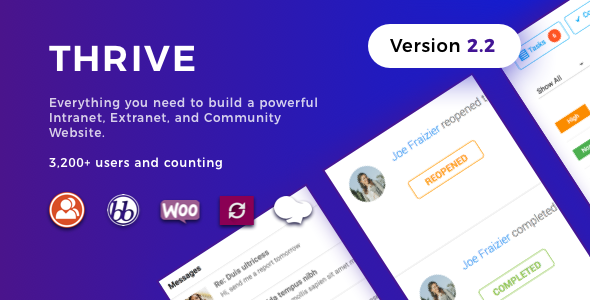 Moreover, Thrive offers live messaging, live customizer, events manager, custom widgets, projects manager, unlimited sidebars, and a helpful documentation. Get Thrive! These membership WordPress themes have all been developed and design to assist you in crafting a professional and business-like website that will generate clicks and purchases. If you found one you like or have a recommendation be sure to let us know.